At Discount Drain Cleaning in Henderson, we are an honest, clean, dependable company that’s owner-operated and here to provide friendly and professional service. We specialize in servicing sewer and drain clogs in the Henderson area provide cleaning methods that not only quickly remove clogs but lengthen the lifespan of your pipes long-term. Our team of industry experts work tirelessly to make sure your residential or commercial pipes are free of clogs and other problems. 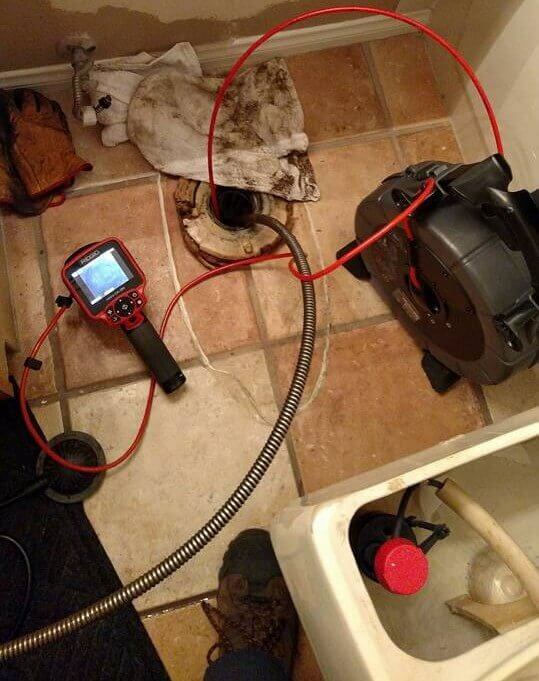 No matter how big or small your job is, we are well-qualified and ready to help..
At Discount Drain Cleaning in Henderson, we understand how frustrating and inconvenient clogged drains can be. What might look like just a dirty or clogged drain can potentially create major problems if not properly cleaned. Our team of professionals specializes in helping families with drain cleaning and uses the best equipment in the industry to get your drains in pipes back on track in an efficient, cost effective way that works for you. Whether your problem is a small clog or something bigger, we’re ready and qualified to help. If you’re experiencing sinks and showers that drain slowly or not at all, it’s probably time for cleaning. Other signs include low water pressure, foul odors and flooding. Most home-owners will utilize do-it-yourself methods to solve the problem themselves or save money. However, most of the time those methods are only a quick fix and may create larger issues down the line. Our team of professionals in Henderson can help you stay proactive about your pipe health and be there when your pipes need attention, to create a healthier, longer life for your system. Once our team in Henderson has determined drain cleaning the best solution to your blockage or clog, we’ll move forward with drain snaking or hydro jetting. Drain Snaking: to best clear small clogs, our team will utilize a snake. A snake is a long, flexible, metal cable with an auger on one end and a handle on the other. Once this tool is inserted into the drain, the auger can spin freely and clear out the clog or blockage. Hydro Jetting: for more complicated clogs or blockages, hydro jetting may be the solution. Hydro Jetting is an extremely reliable and versatile method of drain cleaning, using high-pressure water to clear your pipes. This method is also environmentally friendly and can be used on a variety of pipe materials. At Discount Drain Cleaning, we provide a level of customer service unrivaled by our competitors, and work with you from consultation to completion to ensure a job well done. We’ll even provide you a heads up on issues that you may need to deal with down the road. To learn more about our professional drain cleaning services and our wide range of options, contact our team of professionals at Discount Drain Cleaning in Henderson anytime to get started.